Free Consultations with Dr. Alex! [Dr.] Alex was my first and only Botox doctor and he was very good to let me know know it was OK and to not be nervous. He did a great job and my Botox has laster well over 3 months. And now I am hooked. I was referred to Dr. Alex by friend. At first I was afraid of getting Botox injections because I thought it would make me look weird. But Dr. Alex and his wonderful staff explained that it is a purified protein and the results will be natural. And they were right. It looks completely natural, the treatment was painless, and I did not even get a bruise. If you want great results and outstanding service I highly recommend A E Skin. Botox, Dysport, and Xeomin are medicines placed in muscles on the face to improve the look of frown lines between the eyebrows, Crow’s feet around the eyes, forehead lines, and other areas. 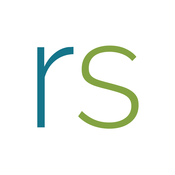 Botox, Dysport, and Xeomin are administered by Dr. Alex as a simple, nonsurgical treatment. What is Painless Botox, Dysport, and Xeomin? Painless Botox, Dysport, and Xeomin is a technique used by Dr. Alex to provide outstanding results without the pain of needles. By cooling the skin with a special machine for a few seconds before the treatment, the skin becomes numb and the treatment is painless. Why get Botox when you can get Painless Botox? Botox, Dysport, and Xeomin is a medical procedure done by a certified medical professional. At A E Skin, all treatments are done by Dr. Alex himself, an expert in Botox and cosmetic medicine. At other offices a general medical doctor or some other specialist who does not focus on cosmetic medicine may perform the treatment; and yet at other offices nurses do the treatment. Don’t you want your treatment to be done by a doctor like Dr. Alex who has done hundreds of treatments and trained others on the technique? 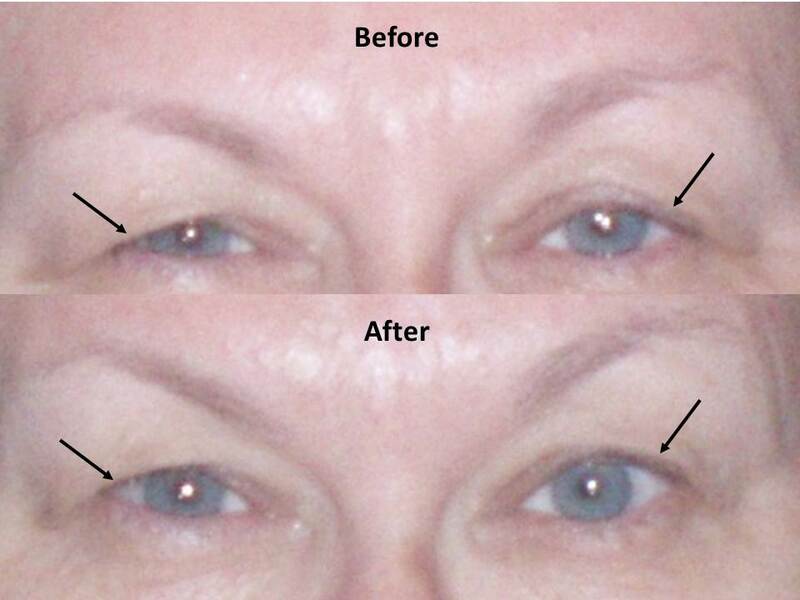 Patients get outstanding results as seen in the before and after gallery. Botox, Dysport, and Xeomin block nerve impulses to the muscles. This reduces muscle activity that causes wrinkles to form with facial expressions such as frowning, smiling, or raising the eyebrows. 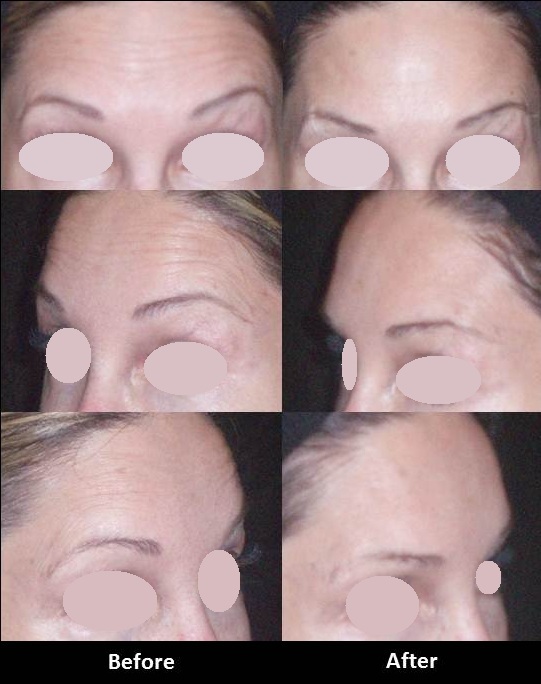 When will I see results from a Botox, Dysport, or Xeomin treatment? Results are seen in three to seven days after a treatment with Botox, Dysport, and Xeomin, with continued improvement for up to 30 days. 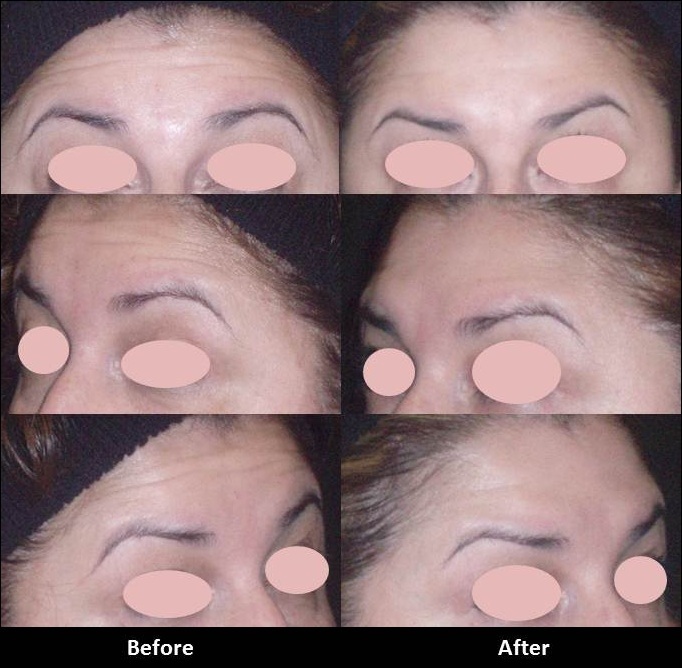 Patients can expect visible results to last approximately three months to four months with Botox, Dysport, and Xeomin. 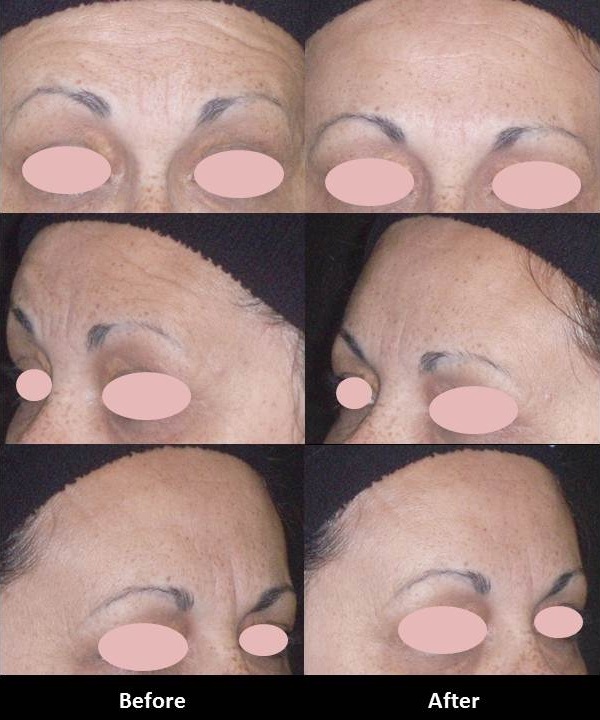 What will happen to the moderate to severe wrinkles if I choose not to continue treatments with Botox, Dysport, or Xeomin? If you do not continue botox treatments, the moderate to severe wrinkles will gradually return to the way they looked before treatment. 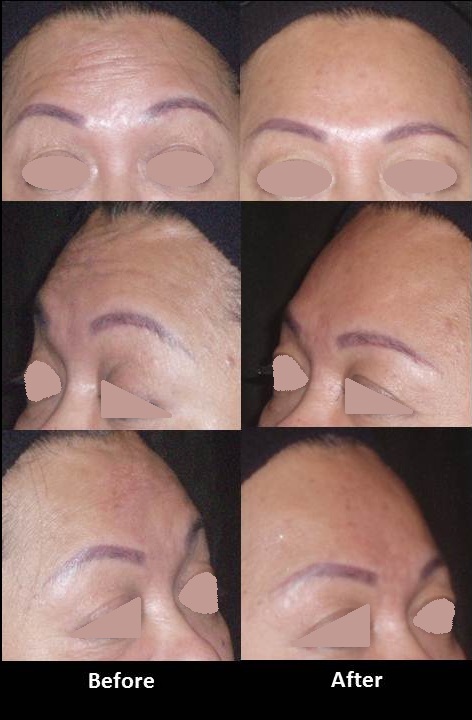 Is treatment with Botox, Dysport, and Xeomin painful? Discomfort is usually minimal and brief with Botox, Dysport, and Xeomin. Dr. Alex uses a pain free technique by applying cold air to numb the skin prior to treatment. 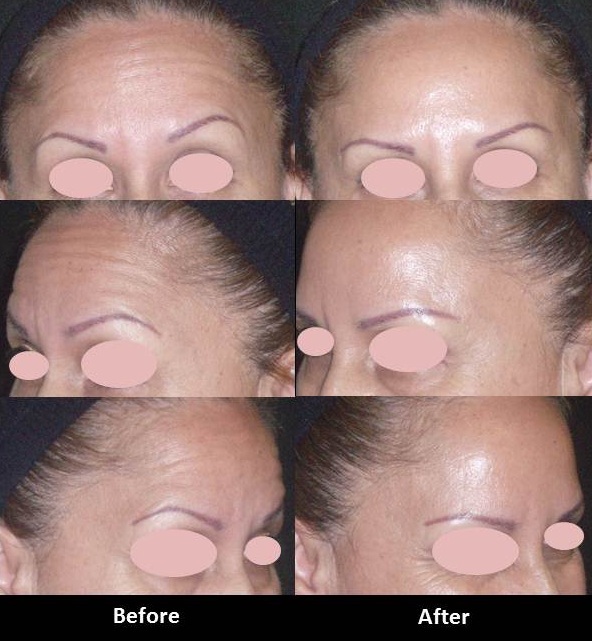 The entire procedure takes approximately 10 minutes. Most patients are in and out of the office without downtime following a treatment. Will I need an anesthetic? The needle used for botox injections is very small and anesthesia is not used. Ice or cold air placed over the treatment areas after the treatment decreases the possibility of bruising. 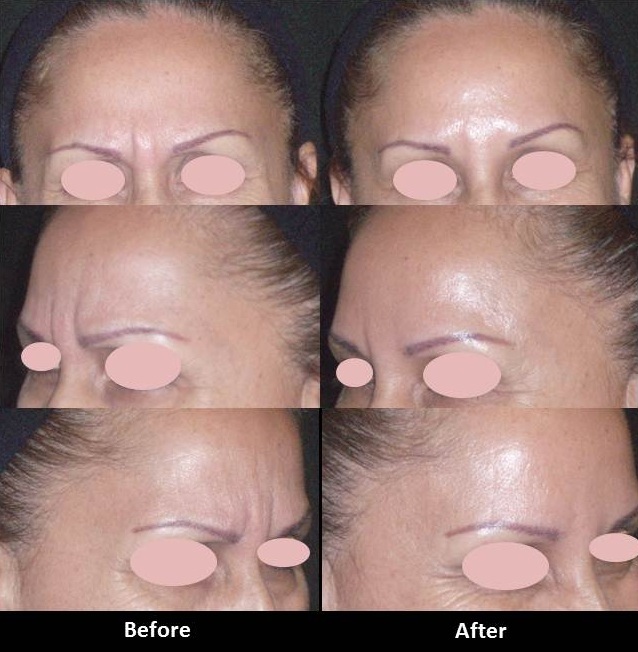 Although the results are visible, a treatment with Botox, Dysport, or Xeomin will not radically change your facial appearance or make you look as if you’ve “had work done.” The muscles that cause wrinkles are temporarily relaxed, so you can still frown or look surprised without the wrinkles. What should I do before a treatment with Botox, Dysport, or Xeomin? Do not drink alcohol on the day of treatment with Botox, Dysport, or Xeomin. Remove all makeup before treatment. It is advisable to avoid blood-thinning medications a few days prior to treatment, as this can increase the risk of bruising. These medications include aspirin, non-steroidal anti-inflammatory medications such as ibuprofen, fish oil, vitamin E, or products containing Ginko biloba. Patients taking warfarin or coumadin should not be treated. What should I do after a treatment with Botox, Dysport, or Xeomin? Do not vigorously rub or massage the treated areas after a treatment with Botox, Dysport, or Xeomin. Do not drink alcohol for 24 hours after treatment. Do not participate in sports or vigorous exercise for 24 hours after treatment. Do not lie down for four hours after treatment. Any of these activities will bring blood to the skin and cause side effects. Is treatment with Botox, Dysport, and Xeomin safe? The safety record of Botox, Dysport, and Xeomin is well established. The product has been used for over 20 years for a variety of treatments with minimal side effects. Botox, Dysport, and Xeomin are amongst the safest treatments for treating facial wrinkles. What are the side effects of Botox, Dysport, and Xeomin? Common side effects associated with the injection of Botox, Dysport, and Xeomin include mild discomfort, temporary bruising or swelling, and mild headache. Rare side effects include localized pain, infection, tenderness, redness, and bleeding. Other rare side effects include dry mouth, tiredness, headache, neck pain, eye problems such as double vision, blurred vision, decreased eyesight, drooping eyelids, swelling of your eyelids, and dry eyes, and allergic reactions. Symptoms of an allergic reaction to Botox, Dysport, and Xeomin may include itching, rash, red itchy welts, wheezing, asthma symptoms, or dizziness or feeling faint. Contact us or get medical help right away if you are wheezing or have asthma symptoms, or if you become dizzy or faint. Who should not take Botox, Dysport, or Xeomin? Do not take Botox, Dysport, or Xeomin if you are allergic to any of the ingredients or if you have had an allergic reaction to any other botulimun toxin products such as Myobloc. A Medication Guide is available for a list of ingredients. Do not take Botox, Dysport, or Xeomin if you are pregnant, planning to become pregnant, or breast feeding. Do not take Botox, Dysport, or Xeomin if you have an infection at the site of injection. Do not take Botox, Dysport, or Xeomin if you are taking an aminoglycoside antibiotic, an anesthetic, D-penicillamine, antimalarials, or immunosuppressants. Do not take Botox, Dysport, or Xeomin if you have recently undergone chemotherapy. Do not take Botox, Dysport, or Xeomin if you have a disease that affects your muscles and nerves such as amyotrophic lateral sclerosis (ALS or Lou Gehrig’s disease), myasthenia gravis, or Lambert-Eaton syndrome. Do not take Botox, Dysport, or Xeomin if you are on warfarin or Coumadin. Do not take Botox, Dysport, or Xeomin if you have a bleeding or clotting disorder. Are Botox, Dysport, and Xeomin expensive? What is the cost of Botox, Dysport, and Xeomin? The price of treatment with Botox, Dysport, and Xeomin depends on the number of units required. 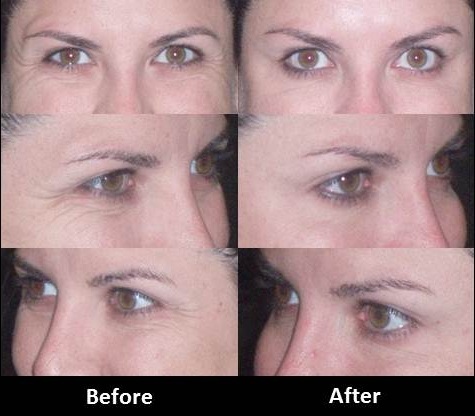 This varies according to the number of treatment areas, size of the areas, intensity of the wrinkles, and gender. Please schedule a consultation so Dr. Alex can determine what is right for you. Neuromodulator Informed Consent Form A neuromodulator informed consent form must be signed by every patient receiving Botox, Dysport, or Xeomin. Botox FAQ Frequently Asked Questions about Botox, Dysport, and Xeomin. Neuromodulator Aftercare Instructions Instructions on what to do after a Botox, Dysport, or Xeomin treatment. For more information on Juvederm, or Botox Injections including costs, treatments, or more in Encino, CA call Encino Med Spa A E Skin at (818) 835-1833.